If you name the qualities that are present in the best boss that you have had, chances are that many of those qualities don’t necessarily pertain to his or her technical capabilities, but rather the qualities in connecting and understanding the people that he or she leads. Practical experience and hard research show that emotional intelligence (EQ) has a greater impact on our success as leaders than does pure intelligence. EQ is more important than ever in a rapidly changing construction environment that requires delicate negotiations, interaction with demanding owners, managing challenging labor relationships, and increased demand for collaborative integrated project delivery methods, among numerous other relational-based requirements. Leaders with strong EQ have an easier time leveraging relationships and are generally seen as better overall leaders. This highly interactive session will dive deep into the concept of EQ and provide participants with the tools to leverage EQ as a source of information, connection, energy, and influence specific to the construction industry. Earn 1.5 CPE in the category of Professional Development. 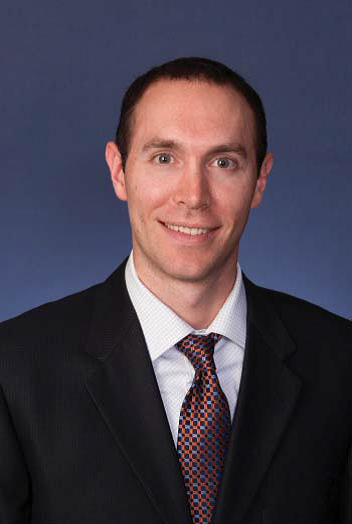 Jake is a senior consultant with FMI, management consultants and investment bankers for the construction industry. As a member of FMI’s Center for Strategic Leadership, Jake is committed to partnering with architecture, engineering and construction organizations to develop exceptional leadership. In his role as director of FMI’s Executive Coaching Practice, Jake works one-on-one with senior leaders to help them achieve their personal and organizational goals. He also works with organizations in implementing cultural and strategic change. Jake’s areas of expertise include organizational development, training, strategic human resource management, executive coaching and statistical analysis. He brings consulting experience from start-up, government and Fortune 500 companies. Jake holds a master of arts degree in industrial/organizational psychology from the University of Colorado, a degree focused on maximizing the impact of individuals and organizations. He also has professional training in executive coaching through Newfield Network.